This week in my kitchen…Week 15…Chocolate Cup Cakes, Kaffir Lime Marmalade… | Retired? No one told me! Lily’s Chocolate Cakes… Makes 12. Add all the dry ingredients to a bowl except for the sugars and stir or whisk to combine. In a separate bowl add the eggs and whisk with the sugar and vanilla essence. Pour half of the egg mixture into the dry ingredients and combine, then half of the buttermilk and repeat stirring until combined the mixture will be quite thin and batter-like. Wash the limes really well cut them in half and then slice very thin half-moon slices. The regular limes I removed the peel and segmented them. Cover the prepared fruit with the water and put in the fridge overnight or for up to 48 hrs…The smell of limes was amazing. Kanaa Moo Krob was one of the other stir-fries I made this week quick and easy…I also love kale although yesterday I had some lovely tenderstem broccoli to use. 8 Large leaves of Kale. 3/4 cloves Garlic. squashed with the flat blade of a knife. 2/3 shakes of Maggi Sauce. Cook Belly Pork in the oven until tender and crispy. For about 30 mins. I normally cook on about 180/200 degrees to start and then reduce heat slightly to 160 degrees. When the pork is tender turn up the heat to crisp the pork. When nice and crispy remove the pork from the oven and chop into bite pieces. Heat the wok or large frypan and add half tablespoon oil. Add crushed garlic and chillies, add little hot water and cook for 1 min…at this point the chillies may overpower you..ha ha….turn on expel fan and add chopped Kale. Stems first if using as they take longer to cook. I use stems of Kale also if they are quite thick slice into 2-inch pieces. Cook for 2 mins and add remainder of Kale leaves and turn over a few times ….I use fish slice as I find it easier to just turn kale over. Add 2 tbsp Oyster Sauce and 1 tbsp Soy along with few shakes of Maggi ( seasoning Sauce). Taste and adjust if necessary. Cook for further 2/3 mins. Add crispy Pork turn or stir a few times to mix. Check the seasoning again and serve with steamed rice. Exciting for me hence the title of my blog, Retired No One Told Me! I am having a wonderful ride and don’t want to get off, so if you wish to follow me on my adventures, then I bid you welcome! I hope you enjoy the ride also and if it encourages you to take a step into the unknown or untried, you know you want to…….Then, I will be happy! MeWe is a new social media and one which many of us are turning to mainly migrating over to as FB has banned many of my friends and for what seems no good reason that we can see I hope you will join us there. This entry was posted in Carol Cooks2, CarolCooks2...In my kitchen, Chocolate Cup Cakes, CRISPY PORK AND KALE, Kaffir Limes, Uncategorized and tagged Chocolate Cupcakes, CRISPY PORK AND KALE, Homemade from scratch, Kaffir Lime Marmalade, Recipes on April 12, 2019 by CarolCooks2. 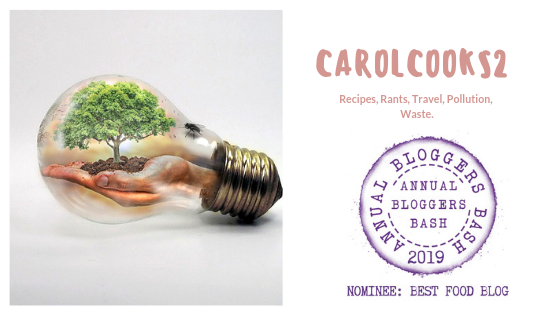 Pingback: CarolCooks2…My weekly roundup of this weeks posts…Plastic, Hemp, Kaffir Lime Marmalade and Chocolate Cupcakes | Retired? No one told me! I love the expression on the girl’s face as she mixes the dough. She looks so engrossed – serious, yet very engaged and having fun. Three great recipes, Carol. I love chocolate cupcake recipes with buttermilk in them. Yes so do we, Robbie it gives a lovely texture to the sponge..
Love the sound of the marmalade… I love marmalade! Lily brings back my memories of baking cupcakes with a room full of little girls at a birthday party. What joy. Some more delights from the kitchen of Carol Taylor in Thailand with her mini chef Lily leading the team on Chocolate cupcakes… and then there is Kaffir Lime marmalade and another fabulous Thai inspired stir fry..
That’s a great chocolate cake recipe!! Salt Farming in Northern Thailand.